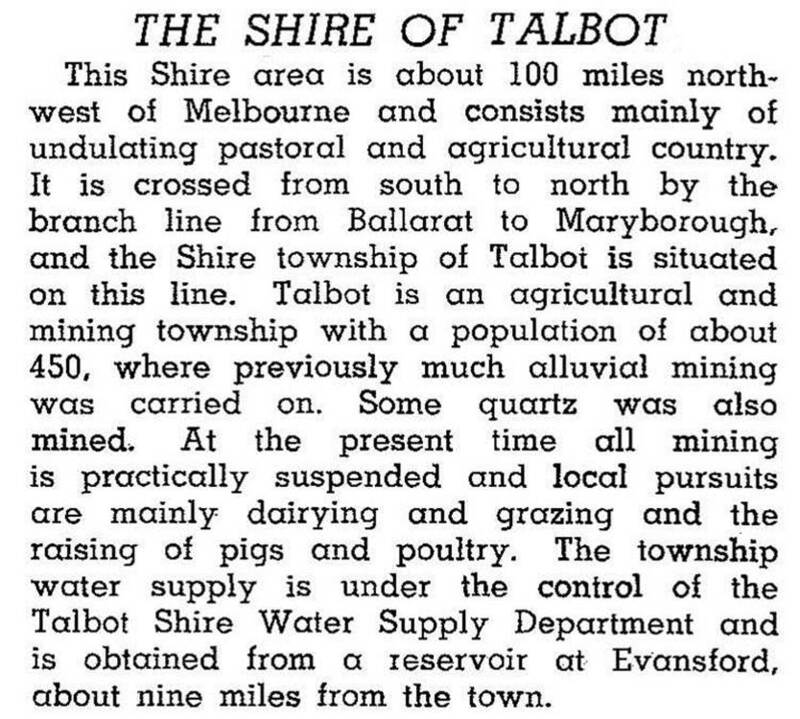 Talbot and Clunes Shire (1965-95), an area of 541 sq km, was proclaimed on 31 May 1965. Its antecedents were several. Local government began with Amherst borough (1858), which became Talbot borough in 1875, and with Clunes borough (1860). The boroughs' hinterland was the Amherst and Clunes Road Board (1860) which became Talbot shire on 31 October 1865. 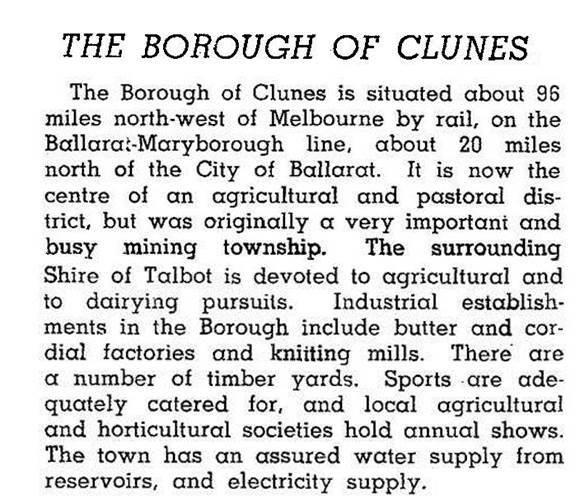 Clunes borough joined Talbot shire in 1965. Both boroughs were gold towns, situated between Creswick and Maryborough, about 120 km north-west of Melbourne. The boroughs had roads radiating from them in all directions of the compass, but none is a main highway. A railway (1875) from Creswick to Maryborough passes through both towns. The shire’s and the borough’s populations slowly decreased until the 1970s when an upturn occurred. It coincided with an appreciation of the towns’ intact heritage and attractive settings, unaffected by main highways. On 19 January 1995, most of Talbot and Clunes shire was united with Maryborough city and most of Bet Bet and Tullaroop shires to form Central Goldfields shire.